In the context of his monthly commentary on the Argent channel, Trustee Partner and Financial Recovery Advisor Eric Lebel emphasizes the importance of breaking taboos when you have financial problems. The CROP survey on Quebecers and personal finances, Les Québécois et les finances personnelles, commissioned by Raymond Chabot Grant Thornton for the awareness campaign “Ne perdez pas vos moyens”, shows that one out of two Quebecers is living with a difficult financial situation and that the same proportion say they are uncomfortable talking about it to the people around them. One out of ten would even be afraid to discuss it with his or her spouse. But according to Eric Lebel, daring to talk about the situation is the first step for getting out of it. The expert recommends, above all, that people not isolate themselves and that they seek help. He also offers other advice, which you can find in the May 8, 2015 interview with host Pierre Paquin. Several studies have shown that 30% of business owners are considering retiring in the next decade and less than 10% have a formal business transfer agreement. In light of this observation, Raymond Chabot Grant Thornton’s business transfer and succession experts participated in a series of activities to mobilize the business community, raise awareness and provide concrete tools to business sellers and successors so they can take action. Teaming up with RDV Relève inc. for a second consecutive year, our people gave training and conferences in Montréal, Sherbrooke, Valleyfield and St-Jérôme. This week of activities ended with a Strategic Forum on succession. In addition to this involvement, Raymond Chabot Grant Thornton committed to a prize valued at $10,000 to assist in the implementation of a succession plan for the winner of the Business Transfer Challenge. The Board of Trade of Metropolitan Montréal and Fonds de solidarité FTQ presented these events. Two other RDV Relève inc. events will take place in the Québec City and Saguenay-Lac-St-Jean regions very soon. Moreover, on May 7, 2015, our partners gave a business succession conference explaining the programs developed by Raymond Chabot Grant Thornton to Outaouais business people in Gatineau. In short, during the week of May 4, more than 600 people overall were mobilized to address the major issue of Quebec’s business succession. Hats off to out experts Éric Dufour, François Lapointe, Édith Pion, Guylain Thériault, Jean-François Thuot, Alain Tremblay and Louis-Philippe De Sève-Bergeron for their commitment to successors. To find out more, contact one of our business transfer and succession experts. They have supported more than 200 businesses in developing a succession plan: you can count on them to consider all the issues that apply to you. Raymond Chabot Grant Thornton was proud to be associated once again with the prestigious Mercuriades competition held on April 16, 2015. Again this year, the firm granted the Mercure Entreprenariat-Raymond Chabot Grant Thornton award. Our firm was enthusiastic about granting the Mercure Entrepreneuriat-Raymond Chabot Grant Thornton award for the second year to recognize growth strategies implemented by businesses to unlock their full potential. The award highlights the well-thought-out procedures of business plans designed to grow a business, which can translate into various strategies. There are two award categories, large enterprise and SME. On this occasion, Emilio B. Imbriglio, Raymond Chabot Grant Thornton President and CEO, granted a large enterprise award to Benny & Co. There was a tie in the SME category between Ferme des Voltigeurs and Wajam Internet Technologies. Congratulations to the three winners and to all contenders! Emilio B. Imbriglio and Jean Benny from Benny & Co. The Mercuriades is a competition organized by the FCCQ, the largest business network in Quebec, since 1981. The contest is intended to recognize the visionary spirit, audacity and know-how of businesses that contribute to the development of Quebec and its regions. These businesses are inspiring models of success for the business succession and the Quebec business environment as a whole. To find out who all the 2015 edition winners are, go to www.mercuriades.ca. The May 13, 2015 edition of La Presse covered the accounting sector and, in particular, what’s new with accounting firms. In this article (in French only) about the major accounting firms, Raymond Chabot Grant Thornton’s skill was yet again demonstrated, thanks to the firm’s 2,291 employees and 222 partners. 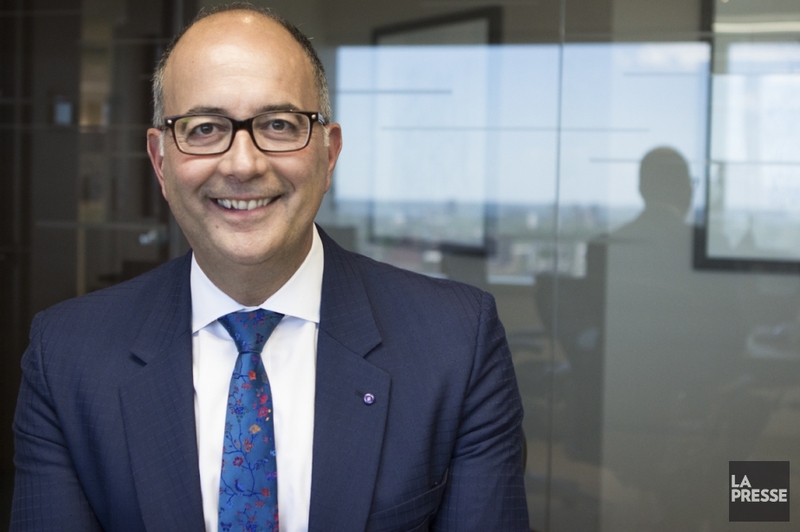 The largest firm in Quebec, Raymond Chabot Grant Thornton remains attentive to its client’s needs, helping them realize their full potential, both locally and internationally. The article provided information on Raymond Chabot Grant Thornton’s new Investigative and Forensic Accounting Department. The department’s Senior Manager Luc Marcil explained that “specialities such as money laundering and corruption of foreign public officials have been added”. Experts can investigate fraud and wrongdoing, while providing various forms of litigation support. This new service has been added to the some sixty services already offered by Raymond Chabot Grant Thornton to private and public organizations of all sizes and in all sectors of activity. President and CEO Emilio B. Imbriglio also added that the firm is currently working on a governance project. “We want to bring those who are closest to our internal support network around the decision-making table to get an overview of practices and regions,” he stated. These examples illustrate Raymond Chabot Grant Thornton’s continued drive towards becoming even more flexible and efficient in meeting its clients’ needs.